So Golf Tourism is Worth $100 Billion? Wow! Over the last two decades, there has been growing focus on sports tourism globally, involving travel for purposes of watching sports events, active participation in sports or simply to gaze at sports facilities infrastructure. According to Geoffrey Manyara, a tourism expert with UN Economic Commission for Africa (ECA), sports tourists spend more at destinations that than their non-sporting counterparts. For example, about 900,000 tourists are estimated to attend English Premier league football games every year. These tourists spend £785 per visitor compared to £583 spent by those engaged in other tourist activities. Recognising that sports tourism could be a viable sector that countries should consider, ECA in collaboration with Rwanda Convention Bureau and Kigali Golf Club organized a meeting to discuss how sport, Golf in particular, could be the next tourism frontier for Rwanda. The meeting observed how sports tourism offers several economic benefits to local communities, the region and the whole the country hosting the sports event. “There is a growing interest and prioritization of the tourism industry across Africa, because countries have realized the immense, yet untapped tourism possibilities that exist on the continent”. Sports tourism is one of them” said Daya Bragante, Head of Cluster on Sub-Regional Initiatives at ECA in Eastern Africa. 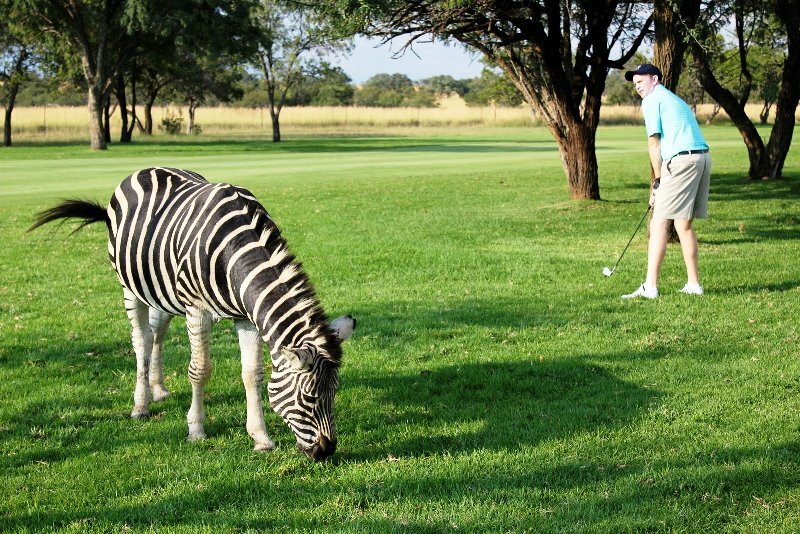 International Association of Golf Tour Operators observes that golf tourism is worth $100 billion a year and that Africa only accounts for 3%. Moreover, golf tourists spend an estimated 20 percent more than other travellers and currently, there are over 60 million golfers worldwide, of which about 10 percent travel overseas for holidays. These visitors generate enormous economic activity through different forms of expenditure on sporting and non-sporting activities. Participants at the Kigali meeting also noted that Sports tourism could be the catalyst for the development of infrastructure such as stadia, hotels, transportation networks, roads, telecommunication other infrastructure. Rwanda has started to put in place measures that promote sports activities, which could attract tourists. The Kigali Car free Day, held twice a month, is set encourage the citizens and foreigners to exercise and engage in mass sports. The country organizes also other international sports events such as Kigali International Peace Marathon and Cycling competition known as “Tour du Rwanda”. The participants at Kigali meeting called for more concerted efforts to formulate appropriate policies and avenues that may create meaningful economic development opportunities through golf tourism. SHARESo Golf Tourism is Worth $100 Billion? Wow! Do Influencers really influence travel making decisions?